Israeli officials claimed yesterday that they had intelligence indicating that Syria has been arming Hizballah with SCUD missiles. If so, it would mark a significant departure for Hizballah in terms of military strategy and weapons capability. Now, nothing should come as a surprise in the Middle East, but this news would be shocking if it was true. Hizballah having SCUDs just doesn’t make any sense strategically. The IDF is one of the world’s most powerful fighting forces, including an air force that is capable of incredible devastation (see Lebanon- 2006). Still though, despite the ferocity of the IDF, Hizballah has managed to be remarkably effective when the two face off. This is no accident. Hizballah has based it entire warfare strategy on fighting with the IDF. For them, this means having a large amount of smaller-sized weapons that can be fired or launched, broken down, hidden away, and moved in a rapid manner. Because it won’t take long before the Israeli Air Force (IAF) discovers your position and reacts accordingly. Hence their use of Katyusha rockets, Fajr-3 missiles, and C-802 Silkworm missile. The latter two are still fairly large, but can be disguised easily in the back of a truck, which makes them relatively easy to fire, hide, and move. In the past, we have seen what happens when traditional armies face off against the IDF (see Jordan, Syria, and Egypt- 1967). Large weapons make large targets for the IAF, it is that simple. 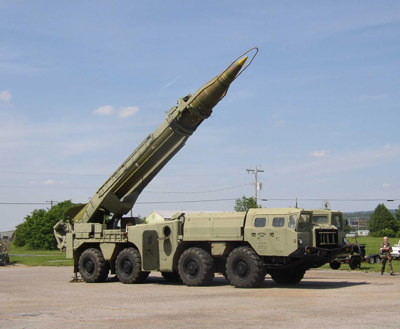 So it is strange to hear reports of Hizballah acquiring SCUDs. SCUDs are enormous and clunky. Though they have a much longer range than some of Hizballah’s other weapons, SCUDs still do not fit with the groups past strategy of favoring portability and concealment over big and destructive. Remember Saddam Hussein’s SCUDs from Dessert Storm? They’re as big as an RV, and they must be launched from that goofy-looking truck. How long would it take the IAF to find every single one of those and destroy them in a possible future war? Hizballah might as well have acquired some tanks or some helicopters. So if it is true that Syria has somehow transported these massive weapons over the border and into Hizballah’s hands, it would be very surprising indeed. Would it indicate that Hizballah has given up on it’s guerrilla tactics (that have been so successful in the past) in favor a more traditional way of doing battle that plays right into the hands of the IDF? Again, one never knows, but it would be surprising. And if it’s not true, why would Israel report it? One possible reason that comes to mind is that Israel has been under immense pressure recently from the United States to make a peace deal with the Palestinians, and releasing this sort of SCUDs to Hizballah story serves at least as a distraction, and a most the story repositions Israel as America’s good friend in a tough neighborhood. Or perhaps Israel is trying to build a pretext for a preemptive strike on Lebanon and possibly Syria in the event that Israel attacks Iran’s nuclear weapons facilities. Some have speculated (and Israeli defense experts have recommended) that Syria is the real target, and that Hizballah and Syria (H&S) need to be neutralized before an attack on Iran in order to prevent retaliation from H&S while Israel is dealing with the Iranian response. This is how smart nations protect themselves. Unfortunately, if Israel bombs Hizballah, all of the Lebanese will suffer. This is less true for Syria, whose military installations are likely more removed from civilian populations. It might be time to ask why this hasn’t been the plan before? It is no secret where Hizballah gets it weapons: most of them come through Syria. The ones that don’t (such as those shipped by boat) run the risk of being intercepted by the Israeli navy. Instead of taking it out on Lebanon next time, perhaps more attention needs to be focused on its neighbor-patron Syria; the king of the Let’s you and him fight! mentality. Also, if Israel really had proof of SCUDs in Lebanon, why not release it? It should be easy enough to prove…you just need a couple clear satellite pics showing those ridiculous SCUD trucks crossing the Syrian border into Lebanon. We’ll see if said photos materialize. In conclusion, it would be strange if Hizballah really had acquired SCUD missiles from Syria. It would mark a departure for Hizballah and would be a highly risky move for Syria, as Israel has shown recently that it is absolutely aching for a fight. Why would Syria take such a chance to provide Hizballah with such a strategically useless weapon? If it is not true, then Israel is lying. But if it is, then something much bigger is going on here. Israel may be playing up the amount passed or their war-readiness, but their transfer was confirmed by US government sources, based on US intelligence. Thank you for your comment Siro. I am not saying that it is impossible for Hizballah to have SCUDs (from Syria), I am saying that it would be very unusual based on past experience. If it is true, then something else is going on here. Could you list where you saw this confirmed by US government sources? All of the info I read just referred to “irregular and dangerous” weapons, but not naming SCUDs specifically. Thanks again for your comment, and thanks for reading. While it is unlikely that Hizbollah has actual SCUDS, they almost certainly are actively engaged in upgrading their SSM capability. Much of those would come through Syria. They may be more mobile than actual SCUDs (and perhaps more effective), and may even look similar, but that’s not the same thing. It’s worth remembering that the Israelis are experts at the PR necessary to influence the American electorate, and they know perfectly well that the term “SCUD” has deeply negative connotations for Americans dating back to 1991. Unless Obama wants to lose half of the Democrat congressional seats in November, he will bow.